New Evidence of Vaccine-Associated Increases in Diabetes – Evidence of a vaccination-diabetes connection has been strengthened since 1996 by the epidemiologic investigation of J. Barthelow Classen, M.D., a former researcher at the National Institutes of Health and the founder and CEO of Classen Immunotherapies, Inc.. Dr. Classen is developing ways to prevent autoimmune disease and maintains that one reason there is a growing epidemic of diabetes in the world is because vaccines given to children at two months and older can induce immune-mediated diabetes. Classen has analyzed mass vaccination and disease incidence data from foreign countries, which keep better records of diabetes incidence than the U.S., as well as has conducted basic science research experiments on mice and rats to support his argument. Beginning with lab experiments, he demonstrated that 8 week old rats and mice injected with DPT vaccine had a higher incidence of diabetes than those who were not injected with DPT vaccine at 8 weeks old. Then he searched for evidence in existing epidemiological data on human populations to suggest that injecting two month old babies with vaccines causes an increased incidence in diabetes. In the May 24, 1996 New Zealand Medical Journal, Dr. Classen reported that there was a 60 percent increase in Type I diabetes (juvenile diabetes) following a massive campaign in New Zealand from 1988 to 1991 to vaccinate babies six weeks of age or older with hepatitis B vaccine. His analysis of a group of 100,000 New Zealand children prospectively followed since 1982 showed that the incidence of diabetes before the hepatitis B vaccination program began in 1988 was 11.2 cases per 100,000 children per year while the incidence of diabetes following the hepatitis B vaccination campaign was 18.2 cases per 100,000 children per year. 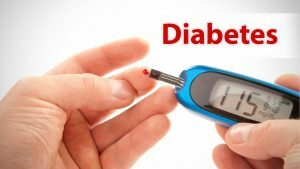 More Vaccines Equal More Diabetes – In the October 22, 1997 Infectious Diseases in Clinical Practice, Classen presented more data further substantiating his findings of a vaccine-diabetes connection. He reported that the incidence of diabetes in Finland was stable in children under 4 years of age until the government made several changes in its childhood vaccination schedule. In 1974, 130,000 children aged 3 months to 4 years were enrolled in a vaccine experimental trial and injected with Hib vaccine or meningococcal vaccine. Then, in 1976, the pertussis vaccine used in Finland was made stronger by adding a second strain of bacteria. During the years 1977 to 1979, there was a 64 percent increase in the incidence of Type 1 diabetes in Finland compared to the years 1970 to 1976. This entry was posted in Doctors Speak Out, Government experimentation on the public, Medical information and Research Data, Pregnancy and birth, RESEARCH, STUDIES, DOCUMENTATION, Vaccine Injection Room on November 30, 2016 by Editor. Purchase gifts for your friends and family, & clients that blesses their lives not only with the best and most uplifting products but knowing that all (emphasis added) monies less the cost of the actual product production goes to support www.VaccineLiberationArmy.com. 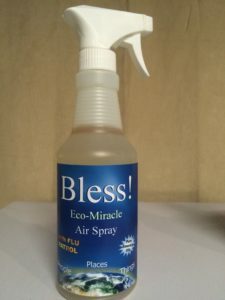 If you have children that have allergies or are immune suppressed or if you are wanting to preserve your health you want the purest product to clean your home; to spray in the air. blessswifferposter(9 essential oils) and on using BLESS instead of Swiffer pads to mop your floors and germicide your counter tops, etc. Great for doctors’ offices. 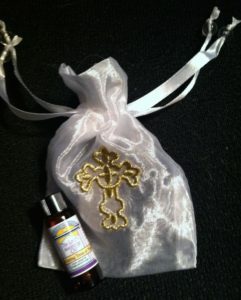 The Lord’s Anointing Oil come in a beautiful organza gift bag with a golden cross or in a beautiful plain white organza bag. Please indicate bag option somewhere at check out. This entry was posted in Healing & Recovery Room, Off the Grid and tagged Bless on November 28, 2016 by Editor. Despite hundreds of leaks of old pipes and recently installed pipelines as in Dakota I which spilled out thousands of gallons of oil, the CEO, who will not guarantee a leak under the waterway, says that the pipeline will be built and when Donald Trump is president he will make it happen…no doubt. VLA Comment: Is this a stupid comment? How about building it over the narrow width of the river as with a “bridge”? This entry was posted in Liberty & Freedom Room, TRUMP NEWS and tagged Dakota pipe line, pipe on November 28, 2016 by Editor. This entry was posted in Personal Stories Vaccine Injuries, Pregnancy and birth, Vaccine Injection Room, VAXXED stories and tagged Iowa vaccine on November 23, 2016 by Editor. In a 2010 scandal that predated the Flint, Michigan tragedy, Congress found that the CDC had deliberately manipulated scientific documents and purposefully made inaccurate claims about the safety of Washington, DC drinking water in order to mislead DC residents into believing that their water was safe. One of the key figures in the cover up described by Dr. Thompson is the Director of the National Center on Birth Defects and Developmental Disabilities, Dr. Colleen Boyle. Boyle’s seminal career coup at the CDC was orchestrating the cover up of Agent Orange and dioxin toxicity in the 1970s. Boyle’s handiwork deprived thousands of Vietnam veterans of health benefits until her fraud was uncovered. This entry was posted in Doctors Speak Out, Government experimentation on the public, Liberty & Freedom Room, Pregnancy and birth, Vaccine Injection Room and tagged CDC fraud, RFK on November 23, 2016 by Editor. This entry was posted in Articles & Breaking News, COOL VIDEOS in Sports, Recreation,Technology, Art, Comedy &Inspirational, TRUMP NEWS and tagged prophecy, Trump prophecy on November 22, 2016 by Editor. 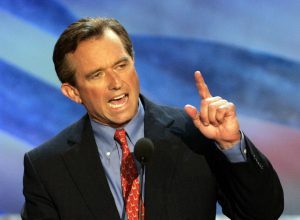 Additionally, it is important to note that the McCarran-Walter Act also requires that an “applicant for immigration must be of good moral character and in agreement with the principles of our Constitution.” Therefore, one could surmise that since the Quran forbids Muslins to swear allegiance to the U.S. Constitution, technically, ALL Muslins should be refused immigration to OUR country. 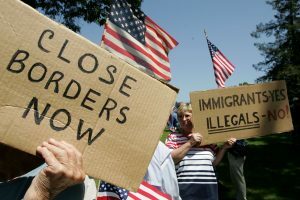 This entry was posted in Liberty & Freedom Room and tagged immigration laws on November 21, 2016 by Editor. This entry was posted in Doctors Speak Out, Pregnancy and birth, Vaccine Injection Room and tagged Moulden on November 21, 2016 by Editor. Apparently, like millions of children in this Age of Autism, vaccines had injured Barron as a baby. As the world saw, on the day of Donald J. Trump’s acceptance speech, Barron William Trump, Trump’s youngest son with Melania, stood right by his father’s side in full spotlight. Look at this beautiful boy…this angel. 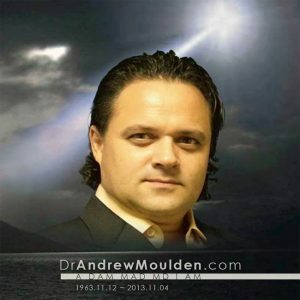 He is the premier and principle embodiment of the healing of the Age of Autism. 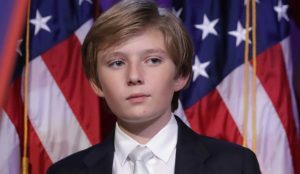 Barron Trump is the face of the unseen vaccine-injured children. This entry was posted in Healing & Recovery Room, Motivational Speakers, TRUMP NEWS and tagged BARRON on November 21, 2016 by Editor.